A powerful story about loss of freedom and individuality, V For Vendetta takes place in a totalitarian England following a devastating war that changed the face of the planet. In a world without political freedom, personal freedom and precious little faith in anything comes a mysterious man in a white porcelain mask who fights political oppressors through terrorism and seemingly absurd acts. 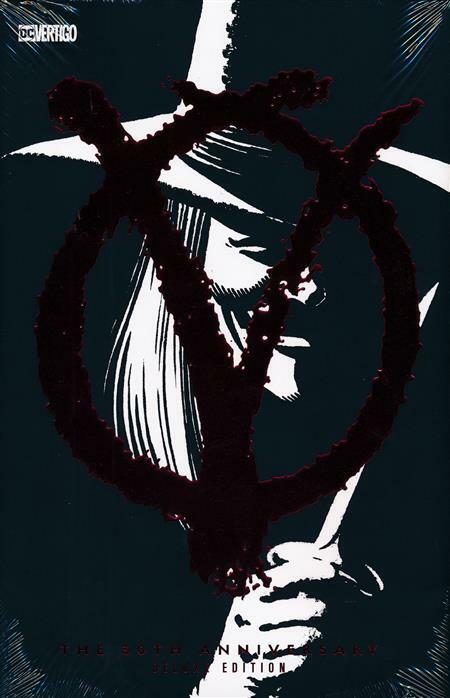 It's a gripping tale of the blurred lines between ideological good and evil.Written by one of the greatest scribes in the history of the medium, Alan Moore, V For Vendetta is considered not only one of the most important graphic novel works ever, but also one of the great works in fiction. V For Vendetta 30th Anniversary Deluxe Edition brings the groundbreaking title back into hardcover for the first time in years.